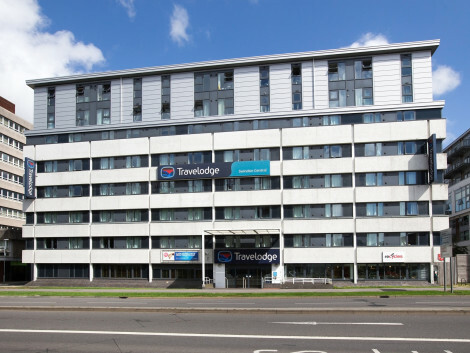 A modern hotel near the train station in central Swindon, with breakfast included and free WIFI Holiday Inn Express® Swindon City Centre hotel is in the centre of town and a quick walk from restaurants and bars, as well as shopping at the McArthur Glen Designer Outlets. The hotel offers parking for a small fee at nearby Swindon train station, where you can hop on a train to London, about an hour away. Business guests are a short stroll from the local corporate headquarters of Zurich, BT and Network Rail. Back at the hotel, seven fully equipped meeting rooms with free WIFI are a convenient place to hold a workshop or seminar for up to 50 delegates. Fishing and watersports are just a 30-minute drive away at the Cotswold Water Park, and the ancient Ridgeway route offers plenty of opportunities for hiking, cycling and horseback riding. Further afield, history lovers will delight in Barbury Castle, the remains of an Iron Age fort, and world-famous Stonehenge, just over an hour's drive south of the city centre. The city of Bath, with its Roman ruins, is half an hour away by rail. Start the day with the hotel's Express Start Breakfast, featuring pastries, continental items including natural yogurt and fresh fruit, plus sausages, scrambled eggs and beans, and end it with a nourishing evening meal or kick back with a refreshing drink in the bar. Alexandra House is set in 20 acres of tranquil landscaped grounds 4 miles from Swindon. Whether hosting conferences during the week or weddings and birthday celebrations at the weekends, it offers the latest meeting facilities and well appointed bedrooms. A full leisure club is available onsite to enjoy after day's business and what's more the stunning Cotswolds are on your doorstep. 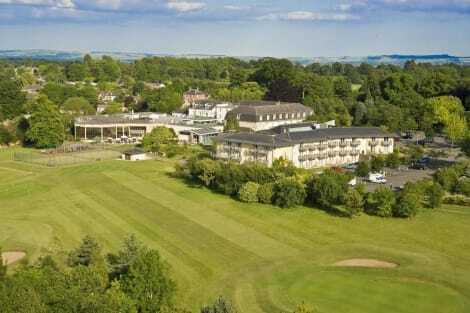 DoubleTree by Hilton Swindon is set in the beautiful Wiltshire countryside, near Junction 16 of the M4 motorway and just 3 miles from Swindon town centre. Enjoy proximity to Windmill Hill and key businesses, the Swindon Designer Outlet, STEAM Museum and the Cotswolds parks – all minutes from our Swindon hotel.Feel welcome with a warm DoubleTree chocolate chip cookie upon arrival, and settle into a stylish guest room with WiFi access, air-conditioning, an LCD TV and generous work area. Our suites offer plenty of space to relax, work or entertain, with a separate lounge, coffee machine, music docking station and other upgraded amenities.Visit our 14Twelve Brasserie to savor breakfast and dinner in a casual and relaxed setting, or meet friends and colleagues for a cocktail in the Bar. The hotel also offers 24-hour room service with an extensive menu. Re-energize after a long day with cardio and strength-training equipment in our fitness center, open 24 hours.Boasting a dedicated meeting floor with 15 event spaces, our DoubleTree hotel near Swindon is perfect for any occasion. Host a private dinner, intimate wedding reception, or even a large conference for up to 300 guests. We have expert event staff to help with the details, plus an array of catering options and wedding packages. A welcoming hotel with a health club near the motorwayTwo miles from the M4, Holiday Inn® Swindon hotel is around an hour from both Heathrow Airport (LHR) and Bristol Airport (BRS).Swindon train station is less than 4 miles away, connecting you to London and Bristol within an hour. Alternatively, leave your car in the free car park and head to the National Express bus stop right outside the hotel. Stonehenge is an hour away by car, and we are only 12 miles from the larger Avebury stone circle. A 20-minute drive takes you to either the grand estate of Lydiard Park, or sailing and waterskiing in Cotswold Water Park. Hotel guests enjoy discounts at Swindon Designer Outlet, less than 5 miles from our hotel. 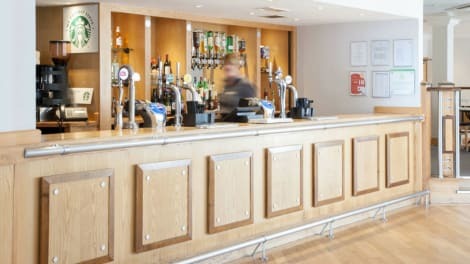 There are local companies nearby, and business guests will appreciate a dedicated host to carefully plan your event in the hotel's 6 meeting rooms.At this hotel you can enjoy:- 24-hour room service- Kids stay and eat free- A full English breakfast buffet- Free WiFi and parkingIn our inviting rooms, you can get a great night's sleep after choosing from the pillow menu. Tuck into dinner at the restaurant or sip a Starbucks coffee in the lounge bar, which has live BT Sport and seating on our garden terrace. You Fit Health Club's pool, gym and sauna will help you feel fully refreshed. Enjoy recreation amenities such as a nightclub or take in the view from a terrace. Additional features at this inn include complimentary wireless Internet access and a banquet hall. Make yourself at home in one of the 10 guestrooms. Complimentary wireless Internet access is available to keep you connected. Bathrooms with shower/tub combinations are provided. Featured amenities include a 24-hour business center, a 24-hour front desk, and a safe deposit box at the front desk. Planning an event in Swindon? This hotel features 329 square feet (31 square meters) of event facilities. A roundtrip airport shuttle is provided for a surcharge (available 24 hours), and free self parking is available onsite. Take in the views from a garden and make use of amenities such as complimentary wireless Internet access and shopping on site. This hotel also features wedding services, a picnic area, and barbecue grills. Enjoy Italian cuisine at Buca di Beppo, a restaurant which features a bar, or stay in and take advantage of the room service (during limited hours). Full breakfasts are available daily from 7 AM to 10 AM for a fee. Enjoy British cuisine at Cast Iron Bar & Grill, a restaurant which features a bar, or stay in and take advantage of the 24-hour room service. Continental breakfasts are available daily from 6:30 AM to 9:30 AM for a fee. Make yourself at home in one of the 4 guestrooms. Complimentary wireless Internet access keeps you connected, and digital programming is available for your entertainment. Bathrooms with shower/tub combinations are provided. Conveniences include desks and coffee/tea makers. Surrounded by picturesque countryside, Swindon is a gorgeous destination with buzzing shops, eateries and bars, and stunning historic buildings to explore on the doorstep. Set in the beautiful Wiltshire countryside, Swindon is a perfect destination for anyone looking to get away from it all while having lots to do and see close by. It's definitely worth checking out what's on during your stay, because there's always something to be a part of in this vibrant town, like the annual Swindon Festival and the Summer Breeze Festival music event to name just a couple. Shopaholics can have fun exploring the busy town centre too. The Brunel Centre and the Parade are both popular places to bag a bargain, and there are lots of designer outlets too. Whether you like culture, history or simply just relaxing, you'll easily be able to find your favourite spot in this lovely town. Museums, galleries and theatres include the Steam Railway Museum, set in a beautiful 19th-century building, Swindon Arts Centre, Wyvern Theatre and Swindon Museum, so you really are spoiled for choice. If you'd like to kick back and enjoy a bit of downtime head to one of the pretty public parks like Lawns or Queens Park. And if you'd prefer to add a bit of historic intrigue to your beautiful setting, explore the house and gardens at the historic Lydiard Country Park, or Bowood House Adventure Playground with its little waterfall, gardens and manor house. 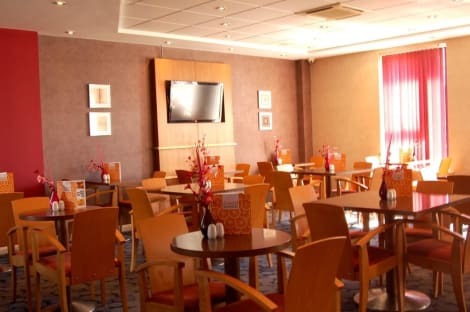 Swindon hotels are really varied, from the traditional and cosy like The Harrow Inn and The Pear Tree at Purton, to the comforSEOSITE_LEVEL_DESCRIPTION well-known chains like the Premier Inn Swindon West, so you'll definitely be able to find the right place for you. Dining out is a fun experience too as there are lots of charming eateries to discover. As a start, look up Egg-e-licious if you're after a cosy café, Bistro Les Chats for a relaxed bite to eat and Da Vinci Restaurant if you fancy some Italian cuisine.